BIOLYFE is co-funded by the European Commission in the 7th Framework Programme (Project No. FP7-239204). Project duration is four years and activities started in January 2010. In this BioLYFE newsletter issue, we would like to present the latest news on BioLYFE on-going activities. In addition, you will find the latest information on the 21st European Biomass Conference and Exhibition. 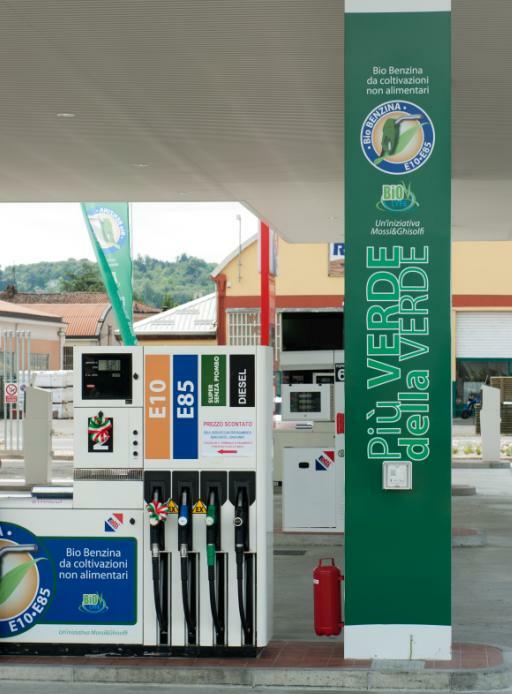 The official opening of the new fuel station took place in Tortona, Italy on 7th June 2012. The opening of the fuel station was an important step towards the comprehensive concept ‘from the field to the wheel’ and is a real alternative to traditional fossil fuels. The ceremony was organized under the BioLYFE project. Mayor of Tortona Mr. Massimo Berruti and Research & Development Director of Mossi & Ghisolfi Group Mr. Dario Giordano attended the opening event. It was possible to fuel Flex-Fuel vehicles with two types of blended gasoline: E10 (a mix of gasoline with 10% of bioethanol) and E85 (a mix of gasoline with 85% bioethanol). More than 2,000 L of E85 and more than 4,000 L of E10 have been sold until now. The second generation bioethanol is a renewable fuel obtained from lignocellulosic feedstock not impacting the agricultural food chain and helping to reduce the CO2 emissions. The second generation bioethanol will be soon produced in the Crescentino plant which is currently under construction and will start operation in late 2012. It will be the world’s first commercial plant producing second generation bioethanol. Mossi&Ghisolfi Group will apply its technology in the bioethanol production process. Chemtex has demonstrated the feasibility of a second generation biofuels technology by completing a 120 million euro research programme on bioethanol technology from lignocellulosic biomass (PROESA® - Bioethanol production from lignocellulosic biomass). Building a bioethanol facility to demonstrate Chemtex PROESA® technology in Europe after experimentation on both pilot and lab scale was the next incremental step in developing the process. The Chemtex second generation 40,000 ton/y bioethanol plant is located in Crescentino (Italy) and by the end of 2012 it is expected to be operative. 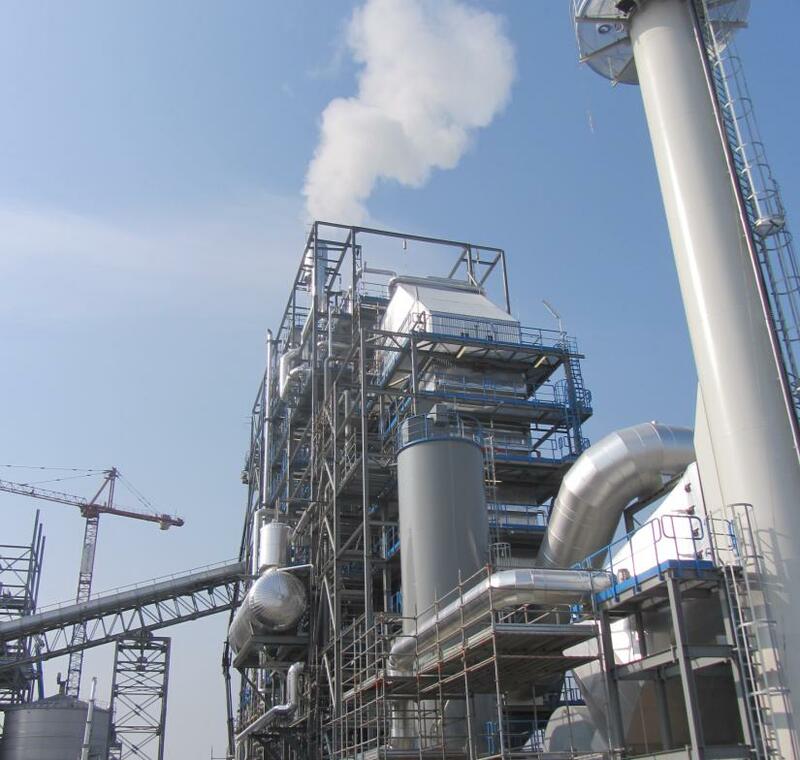 The plant is designed to produce bioethanol through hydrolysis and fermentation of cellulose and hemicellulose starting from lignocellulosic biomass (Arundo donax or wheat straw). The technology development target is to design an energy efficient process able to produce bioethanol and to demonstrate at commercial scale an innovative technology. The PROESA® process is a second-generation cellulosic biomass technology. It takes inedible biomass, like energy crops (such as giant reed, miscanthus or switchgrass) or agricultural waste (such as sugarcane bagasse and straws) and turns them into high-quality, low-cost, fermentable C5 and C6 sugars. These sugars can then be used to cost-competitively produce bio-products with a smaller environmental footprint than fuels and chemicals made from oil or natural gas. The patent-pending PROESA® process is designed to minimize both capital expenditures and operating costs. This allows for more profitable production by partners that license the technology and faster market adoption of bio-based products. In addition, a unique feature of the Crescentino project is its boiler technology which will produce green energy. It qualifies the plant for a lucrative incentive for green power available in Italy for plants completed before the end of 2012. Beta Renewables won the ACHEMA 2012 Innovation Award in the category of Biotechnology for its PROESA® technology. The award, presented by PROCESS, honors the most innovative technologies at ACHEMA, a major conference for the chemical engineering, environmental protection and biotechnology industries. Over 100 companies applied for awards in ten categories. Winners were picked according to innovation, usability, quality, efficiency and economy. Novozymes, the world’s largest maker of industrial enzymes, and Beta Renewables, a global leader in cellulosic biofuels and part of Gruppo Mossi & Ghisolfi, announced an agreement to jointly market, demonstrate and guarantee cellulosic biofuels solutions. As part of the agreement, Novozymes will acquire a 10% minority stake in Beta Renewables, paying up to 90 million euro for the equity, marketing fees, other intellectual properties and milestone payments. The partners will offer a combination of Novozymes’ Cellic® enzymes and Beta Renewables’ engineering and production technology PROESA® to customers looking to produce biofuels from agricultural waste, energy crops and other cellulosic feedstocks. Beta Renewables will embed Novozymes’ enzymes in the PROESA® technology, and Beta Renewables will guarantee biofuel production costs upon upstart of customers’ cellulosic facilities. The deal is unique in offering a combined solution that reduces the risk of customers’ projects while providing competitive commercial terms. In the last five years, Beta Renewables has invested in the development of the cost-competitive PROESA® process that will be used at the world’s largest cellulosic ethanol plant in Crescentino, Italy, where operations are expected to start by the end of 2012. The Crescentino plant and PROESA® technology is supported by the European Commission in the framework of the BioLYFE project. On 5-6 November 2012 the FP7 project NEMO (Novel High Performance Enzymes and Micro-organisms for Conversion of Lignocellulosic Biomass to Bioethanol) held its bi-annual project meeting in Leuven, Belgium, hosted by the project partner Flanders Institute for Biotechnology. Recent achievements were presented on the discovery and optimization of new cellulases and hemicellulases, the development of robust, co-fermenting yeast strains, and the integration of novel enzymes and microbes into optimized production process configurations. Exploitable results on novel enzymes and yeast strains developed within NEMO are available at the NEMO website under http://nemo.vtt.fi/publications.htm. Industrial valorisation of NEMO results is performed in pilot facilities of the project partners SEKAB (Sweden) and Chemtex (Italy) to ensure that NEMO achievements are tested at the scale of industrial relevance and have a fast path for exploitation. Furthermore, international cooperation initiatives regarding the industrial valorisation of novel yeast stains are performed in cooperation with BioEnercel (Chile), Petrobras (Brazil) and Praj Industries Ltd. (India). Results of the NEMO project will also be presented on the occasion of the 3rd International Conference on Lignocellulosic Ethanol on 3-5 April 2013 in Madrid, Spain. For more information on the NEMO project, please contact WIP ([email protected]) or the NEMO coordinator Prof. Merja Penttilä from VTT ([email protected]). Visit the project website at http://nemo.vtt.fi. 21st EU BC&E 2013 will take place on 3-7 June in Copenhagen, Denmark. The Call for Abstracts is now open. Be part of the main annual meeting for the international biomass community and present your latest scientific and technological results to biomass specialists and decision makers by submitting your abstract by 21 January 2013. Visit http://www.conference-biomass.com/Call-for-Abstracts.1006.0.html to find out more about submitting an abstract.